An all-inclusive resort vacation is a wonderful, relaxing, indulgent experience. Often, these resorts are situated on beautiful stretches of beach with an array of activities to choose from. Best of all, your food and drinks are already paid for before you arrive. Choosing travel insurance for your all-inclusive resort vacation is important because all-inclusive accommodations are more expensive and paid for in advance. Without the right travel insurance plan, you may not be reimbursed for these added expenses if you need to cancel your trip. What if you need to cancel your vacation? Trips are canceled for many reasons. Perhaps you have a family emergency or maybe your travel companion gets sick and can’t go. Often, when you cancel a trip to an all-inclusive resort, you will find you have already paid for nonrefundable costs associated with your trip, such as flights, transportation to your resort, your stay at the resort (including all the prepaid food and drink), and possibly activities that you reserve that are not included in your resort stay. Trip Cancellation coverage is intended to reimburse you for these unused, non-refundable costs if you cancel your vacation for a reason covered by your plan. Depending on your travel insurance plan, you may be covered for sickness, injury, or death, bad weather, loss of your job, or military duty. See all the covered reasons for Trip Cancellation with a Generali Global Assistance plan. A travel insurance plan with trip cancellation coverage is a small investment compared with the costs of an all-inclusive resort vacation, and can save your hard earned money. Similar to trip cancellation, you might find your trip gets interrupted by an emergency and you must leave before you enjoy your entire vacation. Because Trip Cancellation coverage ends once your trip begins, a travel insurance policy with Trip Interruption coverage can help you recoup some of the prepaid, unused costs associated with your all-inclusive resort stay. Trip Interruption insurance coverage can cover you for prepaid expenses such as accommodations, tours, activities, or transportation such as ferry rides or train tickets. Trip Interruption coverage can also reimburse you for out-of-pocket transportation costs associated with returning home or to catch you back up to your trip as planned before interruption. While not all resorts are in hurricane zones, many beautiful resorts are located right in the midst of hurricane-prone regions. Your best bet is to avoid traveling during hurricane season. In the Caribbean, this season generally lasts from June to November, with peak season between August and October. However, sometimes your schedule might prevent you from going at more optimal times of year. In addition, all-inclusive resorts often offer great deals for travelers willing to take the risk to visit in the off season. 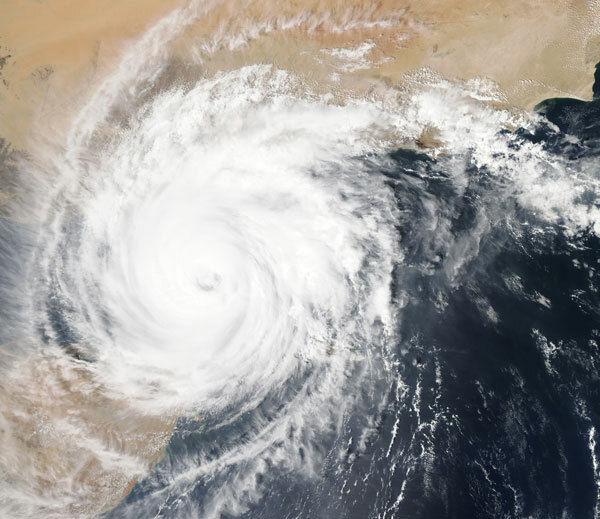 If you find yourself traveling during hurricane season to an all-inclusive resort in an at-risk area, you may want to consider a travel insurance plan that can cover adverse weather-related events such as mandatory evacuation, flight delay, or flight cancellation. Generali travel insurance plans include those coverages. In addition, be sure to purchase your coverage in advance. Once a hurricane is predicted, it is considered foreseeable, meaning you will no longer be covered if you are affected by a hurricane on your trip. You might think, “what could happen to me at an all-inclusive resort?”, but anyone could need medical attention on vacation. And, it’s not uncommon to hear of people getting sick at all-inclusive resorts. For example, if you are traveling to a country where the tap water isn’t potable, food poisoning can be a serious risk. You can take precautions such as brushing your teeth with bottled water and only eating cooked foods, but often even these steps don’t protect travelers (and who wants to go without fresh vegetables for a week?). While remaining aware of your surroundings, wearing appropriate footwear when walking the beach, and reading signs to watch for strong currents can reduce your risk, anything from a jellyfish sting to a cut from a seashell could land you in need of medical attention. Especially if you are traveling abroad, travel insurance with medical coverage can be helpful when you need it most. Often, your domestic health coverage won’t cover you for any or all medical expenses when traveling out of the country. This is why the Centers for Disease Control and Prevention and the U.S. Department of State include getting insured on their pre-departure checklists for international travelers. Even if you are staying in the country, for example, traveling to an all-inclusive resort at one of America’s best beaches, travel medical insurance can be a great idea. Many primary health insurers will cover medical emergency care out of network, but some do not and others might not include hospitalization in their coverage. If you are traveling to a remote destination or a country with limited medical resources, purchasing a travel insurance plan that includes medical evacuation is highly suggested. Medical evacuation can cost you as much as $100,000 or more out-of-pocket if you don’t have a travel insurance policy that covers it. Have you ever showed up at a hotel and found piles of cockroaches in your room, stains in the bedsheets, a broken air conditioner, and a shower with no hot water? Here are some tips for finding the resort that is right for you and lives up to its promises. First, start by thinking about what you want to do and your goals for your trip. Are you looking for a Caribbean beach resort vacation? Are you bringing the kids? Is your husband or wife the type who likes to have activities available every hour of the day? Do you snorkel or do you prefer to hike? Narrow down some destinations and potential resorts that look like they suit your needs and budget, and then look at their reviews on Trip Advisor or other travel review sites. You can find a lot about a resort by reading other vacationers’ reviews and seeing their photos. In addition, read the fine print for your resort’s policies. If you’re a foodie, check their menus to make sure they have what you like. If you value the ability to take out a kayak or paddleboard every day, check to see if the resort tags on extra fees for use of these items. If you’re splurging on a luxurious all-inclusive vacation, the cost of a quality travel insurance plan that can protect your investment is worth it. When choosing a plan, remember to especially consider Trip Cancellation, Trip Interruption, Medical and Dental Coverage, and Emergency Assistance and Transportation coverages when assessing travel insurance. In addition to providing the option for these benefits, Generali Global Assistance plans include access to our 24-hour emergency assistance services hotline.